Allegations that widespread voter fraud is threatening to the integrity of American elections and American democracy itself have intensified since the disputed 2000 presidential election. The claim that elections are being stolen by illegal immigrants and unscrupulous voter registration activists and vote buyers has been used to persuade the public that voter malfeasance is of greater concern than structural inequities in the ways votes are gathered and tallied, justifying ever tighter restrictions on access to the polls. Yet, that claim is a myth. 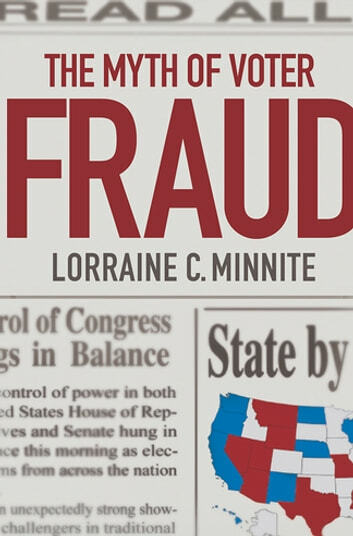 In The Myth of Voter Fraud, Lorraine C. Minnite presents the results of her meticulous search for evidence of voter fraud. She concludes that while voting irregularities produced by the fragmented and complex nature of the electoral process in the United States are common, incidents of deliberate voter fraud are actually quite rare. 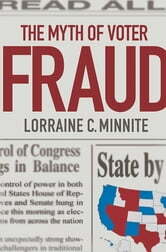 Based on painstaking research aggregating and sifting through data from a variety of sources, including public records requests to all fifty state governments and the U.S. Justice Department, Minnite contends that voter fraud is in reality a politically constructed myth intended to further complicate the voting process and reduce voter turnout. She refutes several high-profile charges of alleged voter fraud, such as the assertion that eight of the 9/11 hijackers were registered to vote, and makes the question of voter fraud more precise by distinguishing fraud from the manifold ways in which electoral democracy can be distorted. Effectively disentangling misunderstandings and deliberate distortions from reality, The Myth of Voter Fraud provides rigorous empirical evidence for those fighting to make the electoral process more efficient, more equitable, and more democratic.